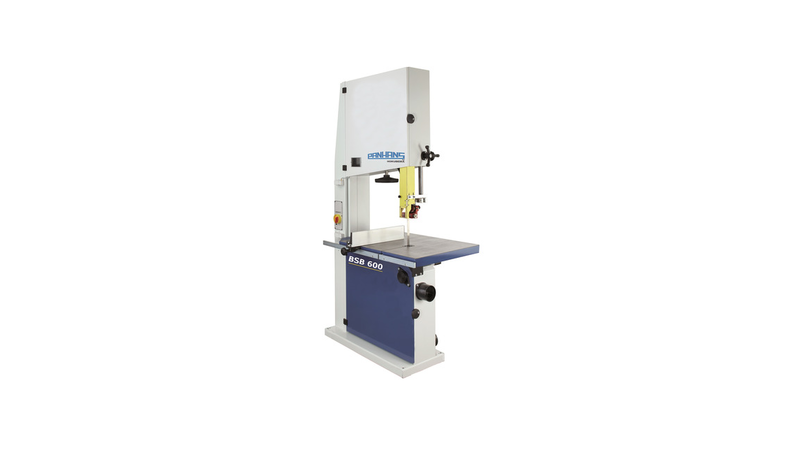 Band saws of the Panhans Series BSB are available in different editions. Principally, they vary in terms of possible cutting heights and cutting widths and enable a wide spectrum of application. A torsion-free dual-chamber weldment forms the basis for all functional elements. Both protective doors are secured by limit switches. The fine-planed work table from grey-cast iron is generously dimensioned. It guarantees a safe, precise and efficient operation. The material stop is especially stable and has a practical quick-clamp mechanism.